MapsGalaxy is a Browser Extension developed by MindSpark Inc. witch usually comes bundled with other software. This extension claims it allows users to search the web, open maps, and check out fasters routes to a destination. While active, it monitors your browser activity. The links you visit, the searches you make, the websites you use, and even personal information is sent back to MindSpark Inc. to later be sold / used to deliver ads to your browser. While this extension is active you may see additional unwanted ads, sponsored links and pop-up ads displayed in your search results and browser. It also changes your default search engine to MyWay, ensuring its ads are displayed. Several anti-virus scanners have marked this extension as a Browser Hijacker and is therefore not recommended to keep on your PC. Browser hijacking is actually a form of unwanted software program, usually a web browser add-on or extension, which causes modifications in browser’s settings. Practically all browser hijackers are made for marketing or advertising purposes. Typically, it will drive users to predetermined websites which are looking to increase their advertising campaign revenue. Many people believe that such websites are legitimate and harmless but that is not true. Almost every browser hijacker pose an actual threat to your online safety and it is vital to classify them under privacy risks. They not just screw up your internet browsers, but browser hijackers can also modify the computer registry to make your computer or laptop vulnerable to various other malware attack. 7. Inability to navigate to certain websites, especially anti-malware and other security software sites. There are many ways your PC can get infected by a browser hijacker. They typically arrive by way of spam email, via file sharing networks, or by a drive-by download. They could also be deployed via the installation of a web browser toolbar, extension or add-on. A browser hijacker could also be installed as a part of freeware, shareware, demoware and pirated programs. 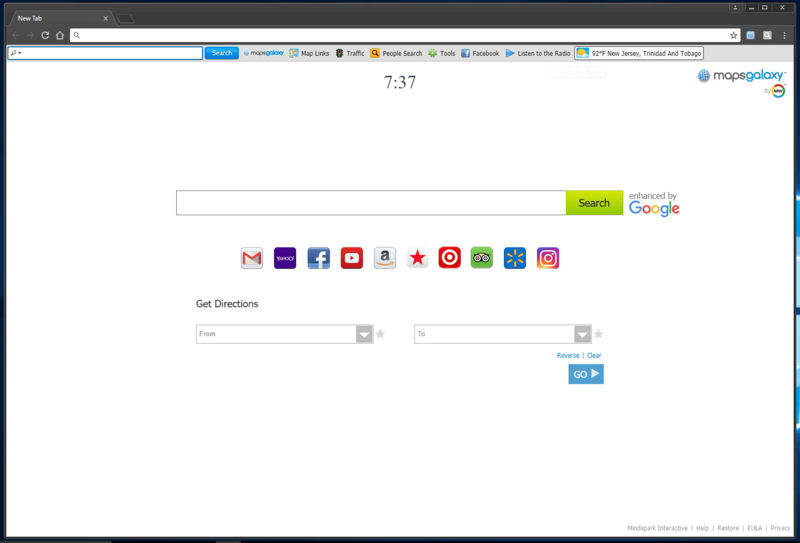 Well-known examples of browser hijackers include Conduit, CoolWebSearch, RocketTab, OneWebSearch, Coupon Server, Searchult.com, Snap.do, and Delta Search. Browser hijackers might record user keystrokes to collect potentially invaluable information leading to privacy concerns, cause instability on computers, significantly disrupt user experience, and eventually slow down the PC to a point where it will become unusable. The one thing you can try to get rid of a browser hijacker is to locate the malicious software in the “Add or Remove Programs” list in the Windows Control Panel. It may or may not be there. When it is, try to uninstall it. Having said that, most hijackers are quite tenacious and need specialized tools to remove them. Inexperienced PC users should not attempt for the manual form of removal methods, since it requires in-depth computer knowledge to do fixes on the system registry and HOSTS file. Installing and running anti-malware application on the affected computer could automatically erase browser hijackers as well as other unwanted applications. SafeBytes Anti-Malware can counter persistent browser hijackers and provide you with real-time PC protection against all kinds of malware. Use a pc optimizer (such as Total System Care) together with your anti-malware to correct various registry issues, remove system vulnerabilities, and improve your computer overall performance. Practically all malware is inherently unsafe, but certain kinds of malicious software do more damage to your PC than others. Some malware variants alter web browser settings by adding a proxy server or change the PC’s DNS configurations. In these cases, you’ll be unable to visit certain or all internet sites, and therefore unable to download or install the required security software to eliminate the infection. If you’re reading this article now, you have perhaps recognized that a virus infection is the cause of your blocked web connectivity. So how to proceed when you want to download and install an antivirus application such as Safebytes? There are some options you could try to get around with this problem. Safe Mode is a special, basic version of Microsoft Windows in which just bare minimum services are loaded to prevent viruses as well as other problematic applications from loading. In the event the malicious software is set to load immediately when computer boots, switching into this particular mode could prevent it from doing so. In order to get into Safe Mode or Safe Mode with Networking, press F8 while the computer is booting up or run MSCONFIG and look for the “Safe Boot” options under the “Boot” tab. Once you’re in Safe Mode, you can attempt to download and install your anti-malware program without the hindrance of the malware. At this point, you are able to run the anti-virus scan to remove computer viruses and malware without hindrance from another malicious application. Malicious code could exploit vulnerabilities in a specific browser and block access to all anti-virus software sites. If you seem to have a trojan attached to Internet Explorer, then switch to a different browser with built-in safety features, such as Chrome or Firefox, to download your favorite antivirus program – Safebytes. Here’s another solution which is utilizing a portable USB anti-malware software package that can scan your computer for malicious software without the need for installation. Adopt these measures to run the anti-virus on the infected computer. 1) Download Safebytes Anti-Malware or Microsoft Windows Defender Offline onto a clean computer. 2) Plug the pen drive into the uninfected computer. 4) Select the drive letter of the pen drive as the place when the wizard asks you exactly where you would like to install the antivirus. Do as instructed on the screen to finish up the installation process. 5) Unplug the USB drive. You may now utilize this portable anti-malware on the infected computer. 6) Double-click the Safebytes Anti-malware icon on the flash drive to run the software. 7) Run Full System Scan to detect and clean-up of all types of malware. When you have attempted ALL of the above methods and you still have issues downloading or installing Safebytes Anti-Malware, then you can resort to re-installation of the Windows OS. It might sound scary, but sadly, reinstalling everything from scratch is the sole method and often the most sensible approach to remove particularly stubborn malware. If you are already a Safebytes customer, you can call our toll-free number 1-844-377-4107 to get product support and expert solution from our technical team. If you are looking to download anti-malware application for your computer, there are plenty of tools in the market to consider nonetheless, you should not trust blindly to anyone, regardless of whether it is a paid or free program. Some are worth your money, but many aren’t. You need to pick one that is trustworthy, practical and has a strong reputation for its malware source protection. On the list of recommended tool by industry leaders is SafeBytes Anti-Malware, the most dependable program for Windows computers. SafeBytes anti-malware is really a powerful, very effective protection tool created to assist users of all levels of computer literacy in detecting and removing harmful threats from their personal computer. This software program can easily identify, eliminate, and protect your PC from the most advanced malware threats such as spyware, adware, trojan horses, ransomware, worms, PUPs, along with other possibly damaging software programs. Live Protection: SafeBytes provides real-time active checking and protection from all known computer viruses and malware. It will regularly monitor your pc for hacker activity and also provides end users with sophisticated firewall protection. 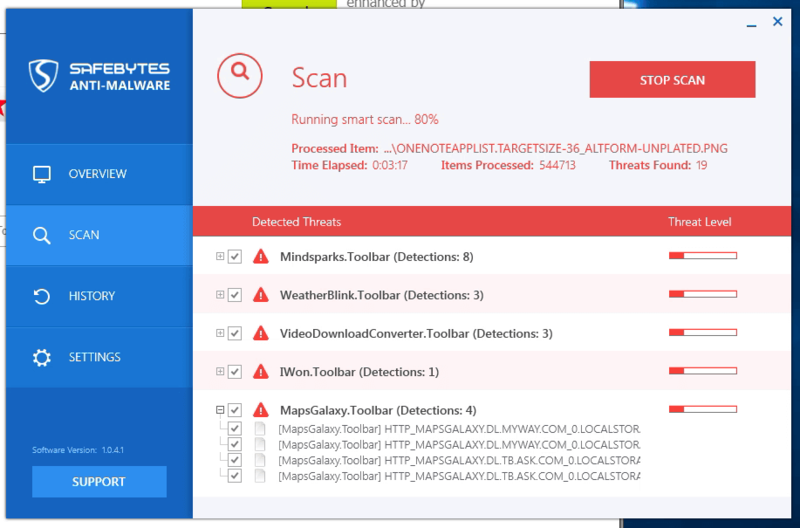 Optimum AntiMalware Protection: With its advanced and sophisticated algorithm, this malware elimination tool can detect and remove the malware threats hiding in your computer system effectively. Safe Web Browsing: SafeBytes inspects the hyperlinks present on a web page for possible threats and notifies you if the website is safe to check-out or not, through its unique safety rating system. Fast Multi-threaded Scanning: SafeBytes’s virus scan engine is among the quickest and most efficient within the industry. Its targeted scanning drastically increases the catch rate for viruses that is embedded in various PC files. Lightweight: The program is light-weight and can run silently in the background, and will not impact your PC efficiency. 24/7 On-line Tech Support: Support service is available for 24 x 7 x 365 days via email and chat to answer your queries. Put simply, SafeBytes has created a meaningful anti-malware solution which is aimed to protect your computer against all manner of malware. Malware problems will become a thing of the past once you put this application to use. You will get the very best all-around protection for the money you spend on SafeBytes anti-malware subscription, there’s no question about it. If you want to manually get rid of MapsGalaxy without the use of an automated tool, it might be actually possible to do so by removing the program from the Windows Add/Remove Programs menu, or in cases of browser extensions, going to the browsers AddOn/Extension manager and removing it. You’ll likely also want to reset your internet browser. If you choose to manually delete the system files and registry entries, make use of the following list to make sure you know exactly what files to remove before undertaking any actions. But bear in mind, this can be a difficult task and only computer experts could accomplish safely. Additionally, certain malicious programs have the capability to defend against its deletion. It is highly recommended that you carry out the removal process in Safe Mode.